If you've faced this error, it's most probably that your site unable to connect to the activation server. In this case you'll need to activate your license key manually. 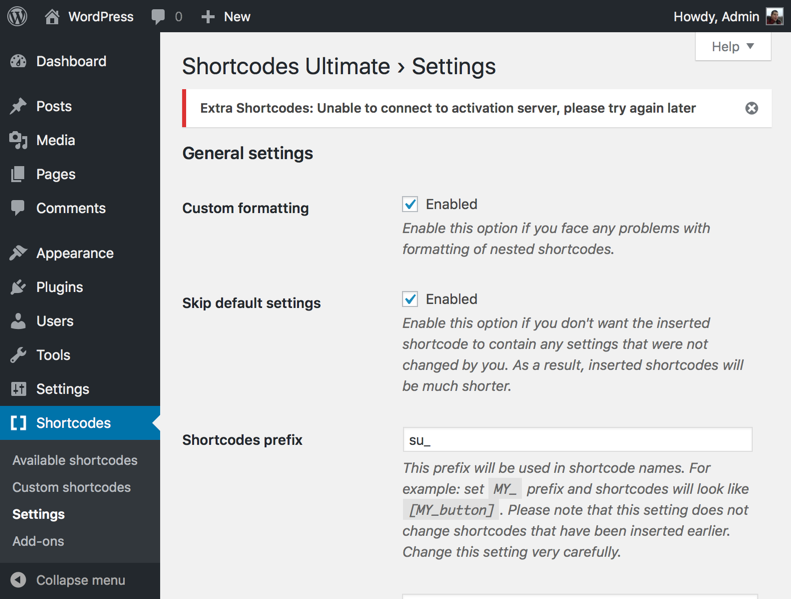 Check your license key status by navigating to Dashboard – Shortcodes – Settings page.